Latvian journalist Gunta Sloga was targeted for criminal defamation by outgoing MEP Aleksandrs Mirskis. Photo: Courtesy Gunta Sloga. This interview was conducted and originally published by the London-based Media Legal Defence Initiative (MLDI), a partner organisation of the International Press Institute (IPI). It is republished here the consent of MLDI. The original interview can be found here. In 2009, Latvian journalist Gunta Sloga published an article about MEP Aleksandrs Mirskis that questioned his apparently distinguished military career. Mirskis took Gunta to court for defamation and after years of court proceedings, the case was finally dismissed in 2013. 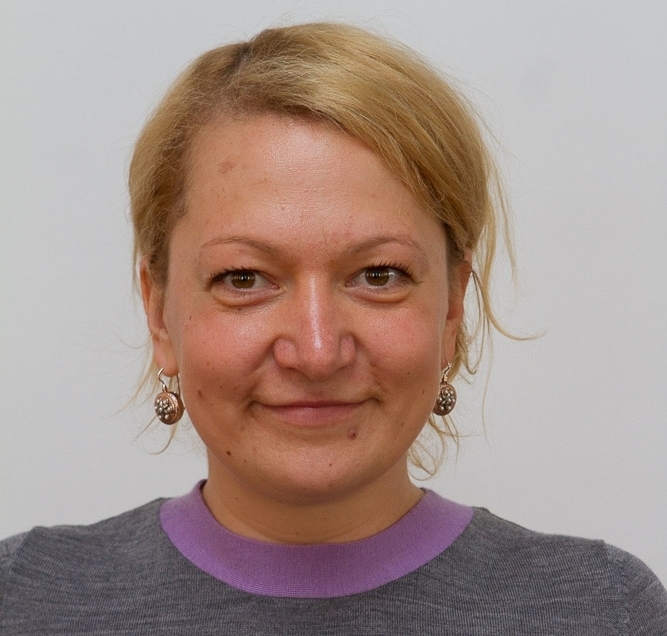 Now a commissioning editor with Latvian Television, Gunta tells us about the impact the case had on her and why the support she received from MLDI was so vital. MLDI: Can you give us an overview of the case? Gunta Sloga: When Aleksandrs Mirskis was elected to the European Parliament in 2009, I discovered that much of what he had said about his military career wasn’t true. He had falsely claimed to have served in Afghanistan, for example. In my article I likened him to Baron Munchausen, a German nobleman who was infamous for his tall tales. Mirskis sued me for defamation and after many hearings, the Jurmalas City Court acquitted me in July 2011. Mirskis appealed and the case was taken to the Riga Court of Appeals before it was finally rejected in 2013. MLDI: How did you feel when the case was dismissed? Sloga: I felt very relieved. Three years of court proceedings had been stressful. Even when you know you’re not guilty and you’ve just been doing your job, you’re the accused and it’s not a nice feeling to be in court. It was hard for my parents too – they worried about me and then I’d feel bad for causing them worry. People said I should go to court against Mirskis and ask for compensation for emotional damage but I said no. I’d had enough of the courts – I just wanted it all finished. MLDI: How did you hear about MLDI and how did they help you? Sloga: I was very lucky. I’d been to a conference in New York and one of the opening events was about MLDI. When Mirskis sued me, I’d been unemployed for three months and I had no money for a lawyer. I contacted MLDI and I was so happy that they decided to support me by paying for a local lawyer who specialised in media issues. I don’t know what I’d have done without MLDI. When I’m on social media and I see all the cases they’re supporting, I think it’s so great that they are here, fighting for freedom of speech and the lives of journalists. MLDI: Tell us about the attention the case got in the media. Sloga: The media was really supportive of me. In the end, Mirskis was very unhappy because not only had he lost the case but the story had been retold over and over again in the press. My main victory – if you could call it that – is that he wasn’t re-elected to the European Parliament. I don’t think that’s 100 per cent down to my story but I do feel there’s at least one brick in the wall put there by me. MLDI: How has the media landscape been changing in Latvia? Sloga: The economic crisis has rocked the media. The paper I worked for when I wrote the article was independent but it had financial troubles. It was bought by local oligarchs with close political ties and they had only one aim: to stop critical articles. A lot of editorial staff left the paper, including me. That trend of media being bought by political influencers is continuing. I’m very proud that I helped establish an investigative journalism centre in Latvia but we could have a lot more good quality stories if there weren’t these political influences in the media. MLDI: What’s life like for journalists? Sloga: It’s not easy. Few media companies offer full social benefits – that’s why so many of my colleagues have gone into PR or other sectors. I don’t blame them. You can talk about your values and fighting for media freedom and all those nice bright things, but when you have kids to feed, you’ve got to face reality. MLDI: Has the case motivated you in your career? And can you tell us more about computer games…? Sloga: I am still very motivated in my work but that’s not just because of the case. I am somebody who looks at life as a computer game. I want to finish one level and get on to the next. My new job as a commissioning editor for Latvian Television is the next level. I’m still in the media but I have a bigger overview and I’m able to help other journalists in my company to do their jobs. This interview was originally published on Sept. 10, 2014. It was republished by IPI on Sept. 30, 2014.